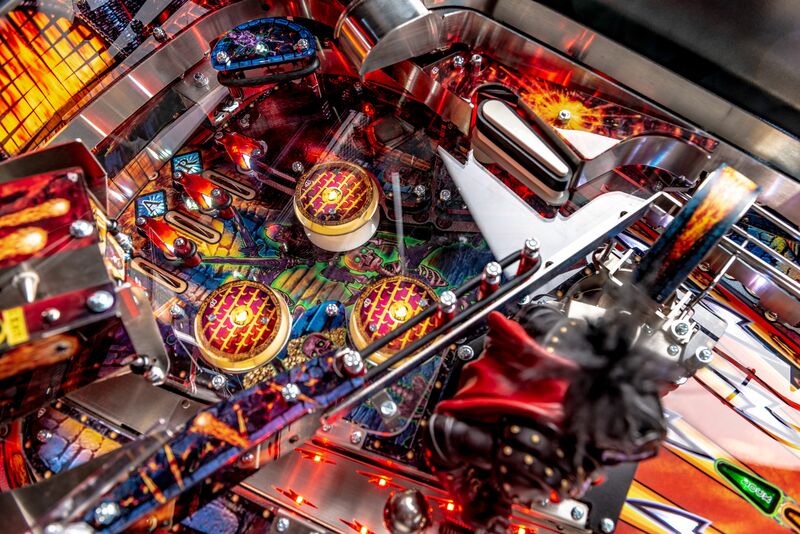 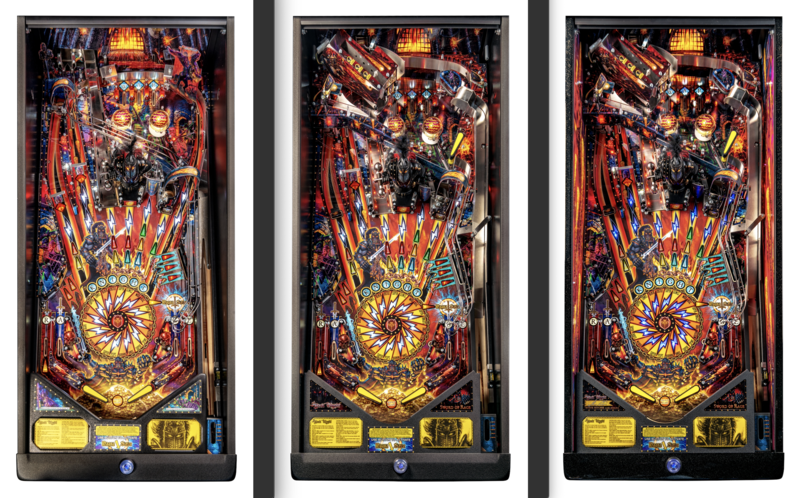 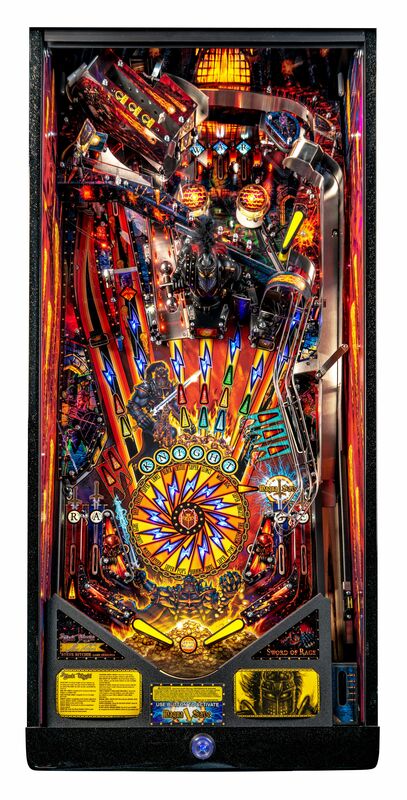 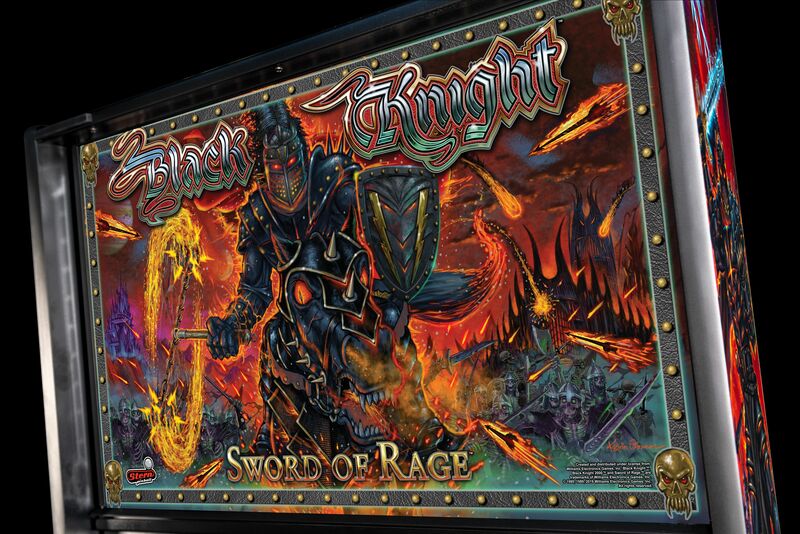 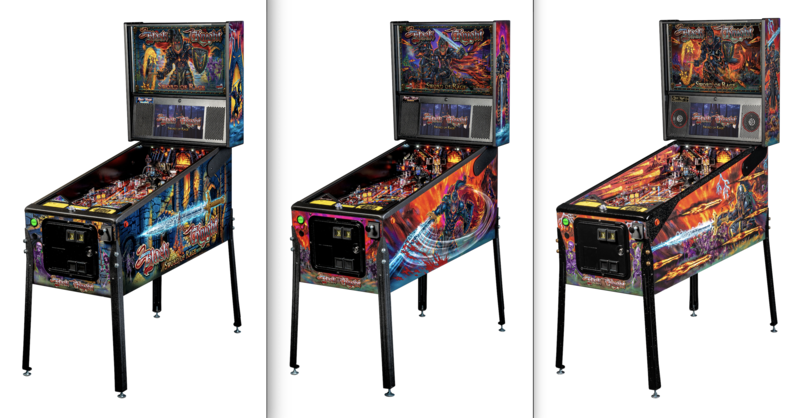 Black Knight: Sword of Rage is the newest creation from Stern Pinball! 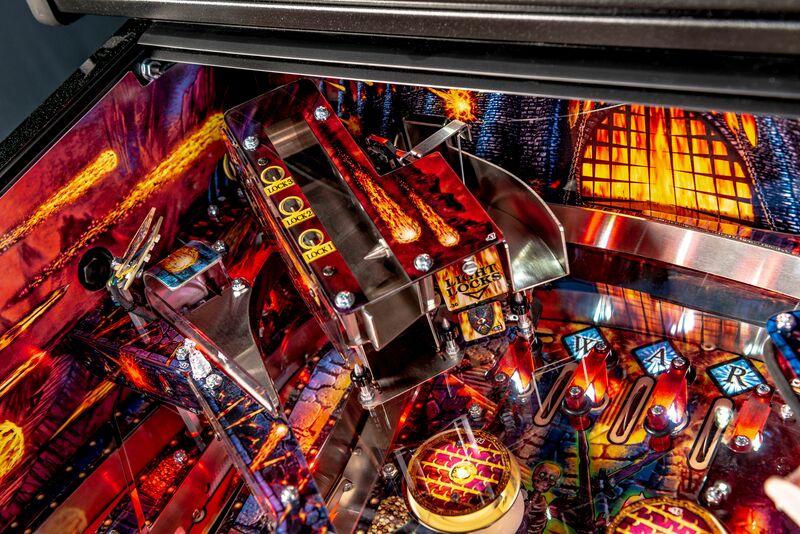 Below is an in-depth overview of the machine, and a dive into the features and rules – check it out! 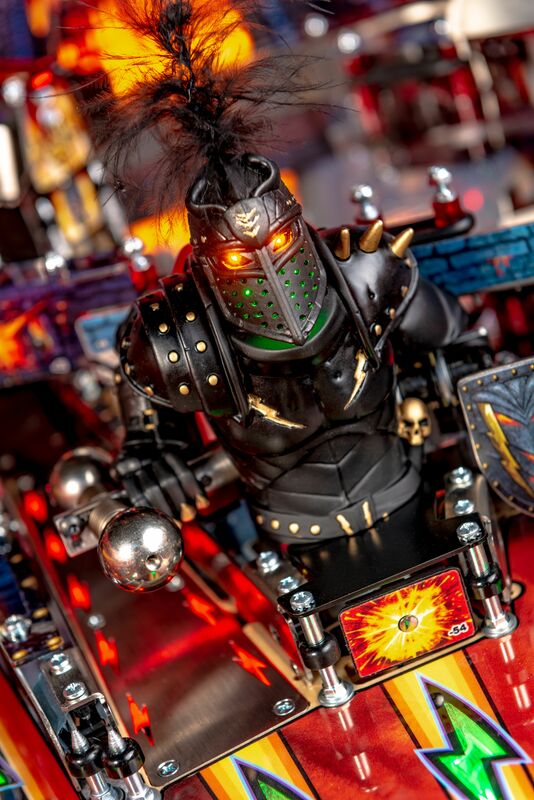 The Black Knight and his minions are invading your lands. 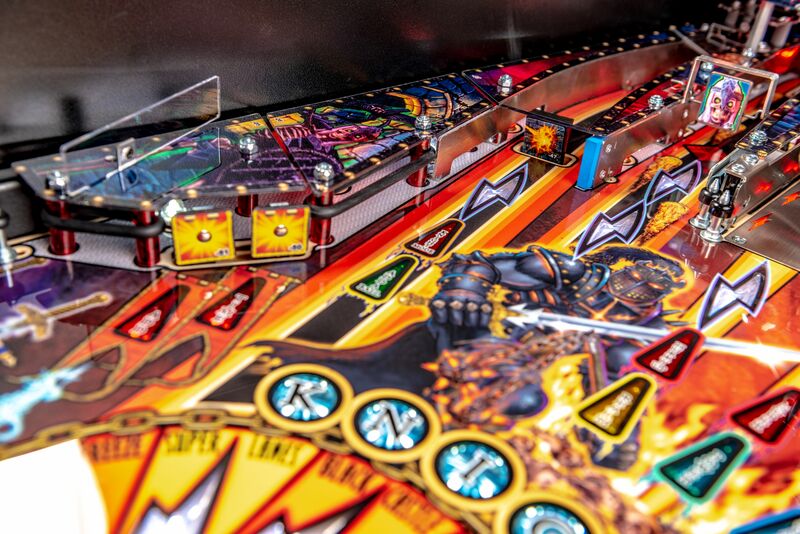 Use your sword to defeat him, his Skeleton Army, his Evil Allies, and burn his castle! 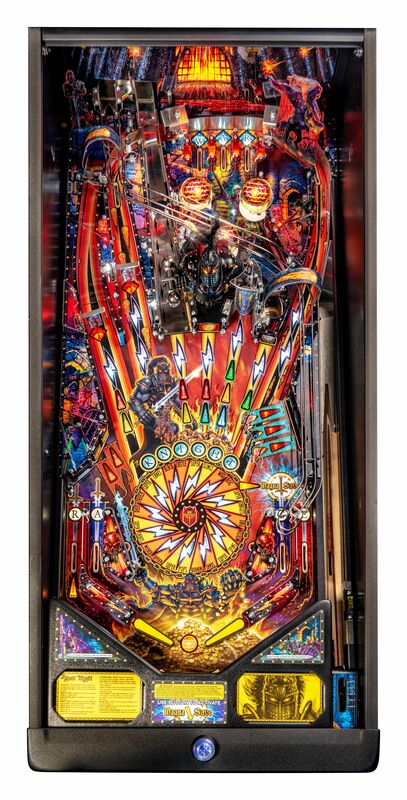 Complete W-A-R lanes to advance Bonus X and Hurry Ups. 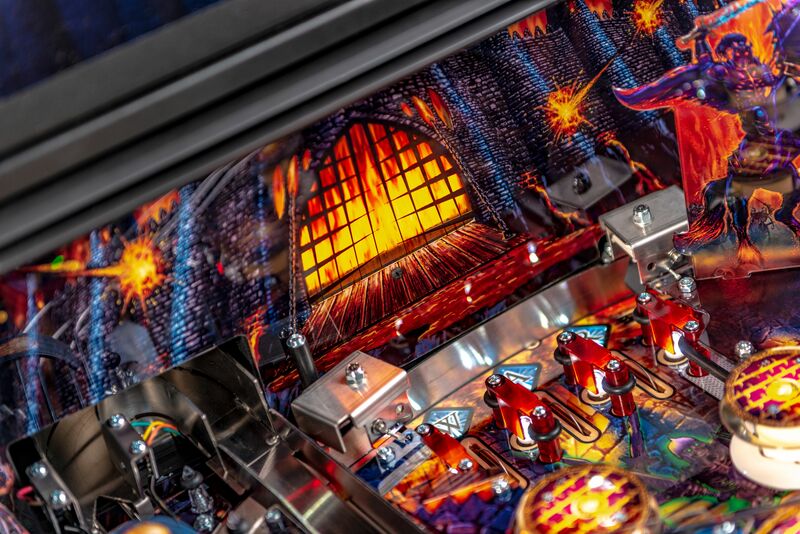 Complete R-A-G-E to light Mystery. 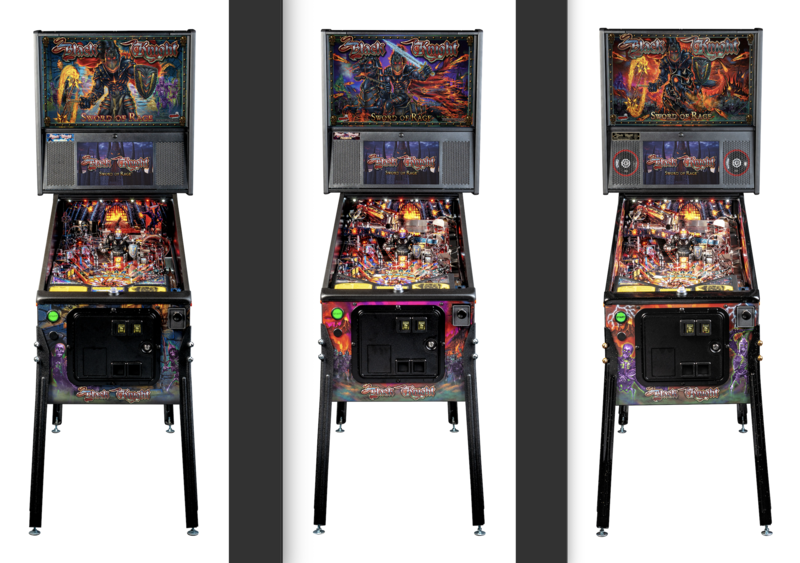 Completing main feature objectives awards Knight Lights. 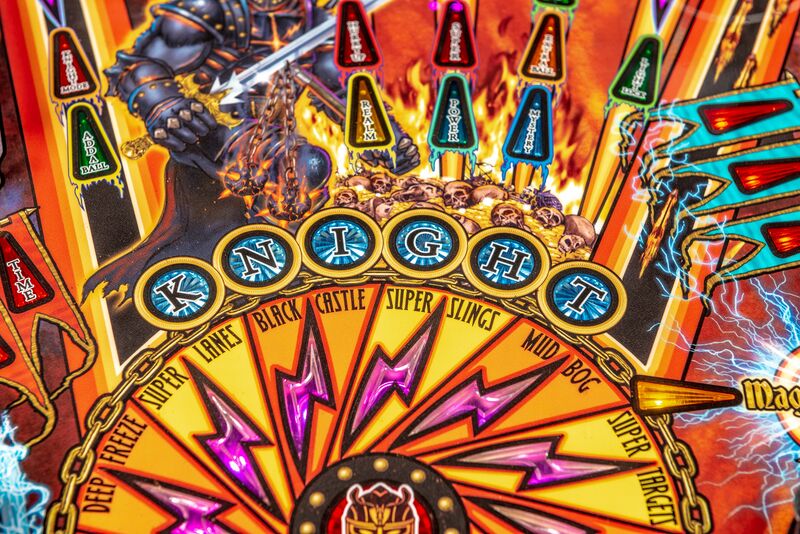 Scoring K-N-I-G-H-T lights Knight Mode at the Castle VUK. 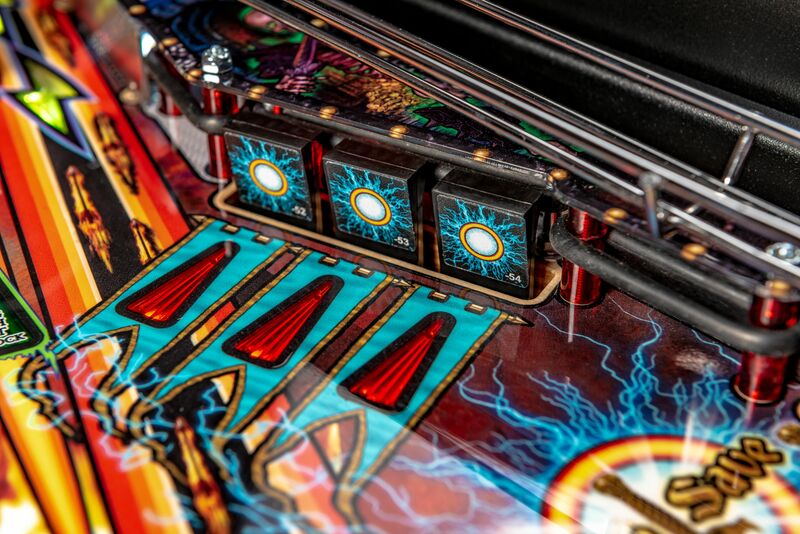 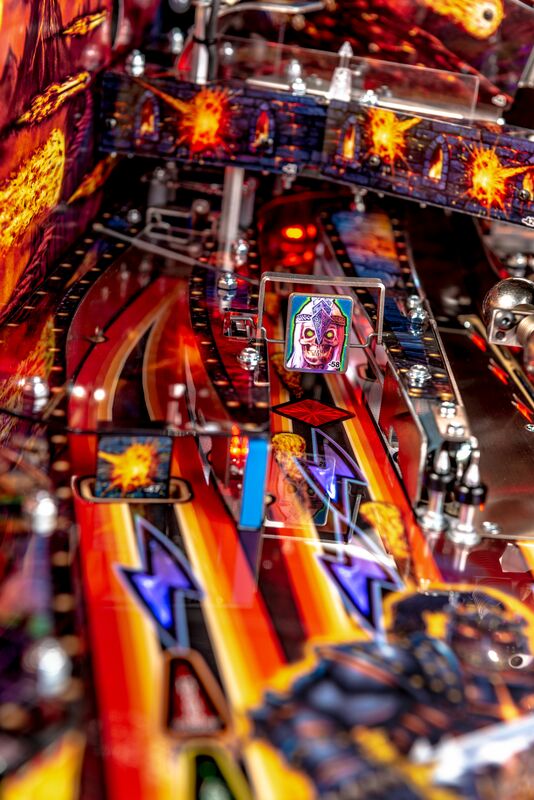 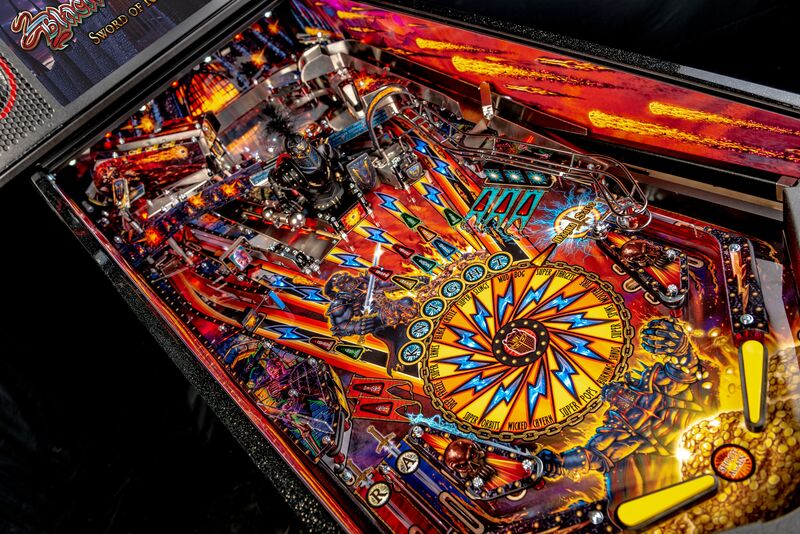 Travel back in time to experience classic pinball. 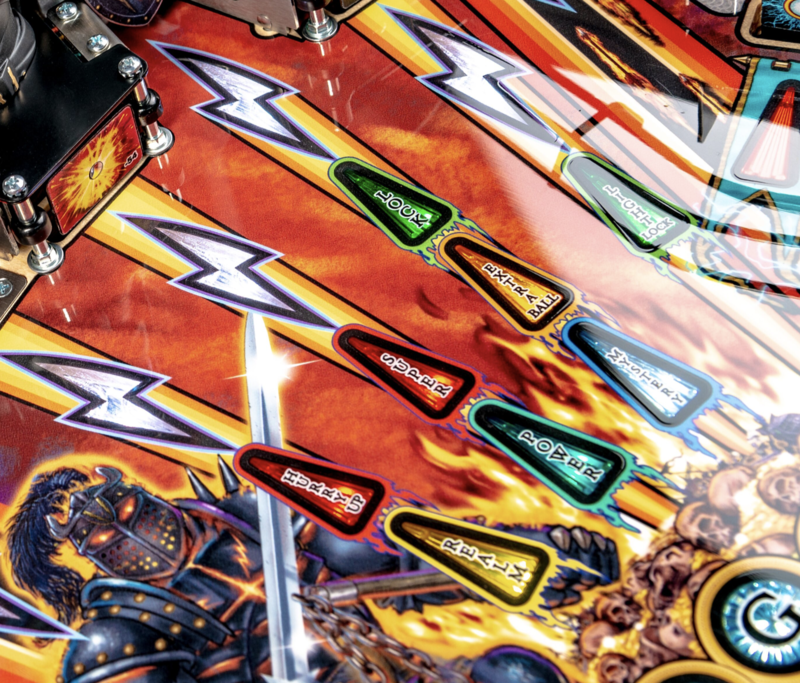 Bash the Black Knights Flail to open up the flail ramp shot for bonus points. 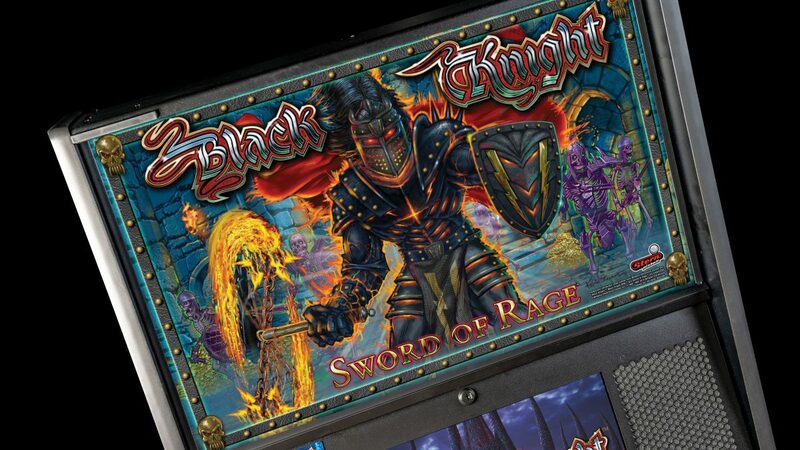 Shoot the Flail Ramp and Bash the Black Knight’s Shield to light Modes. 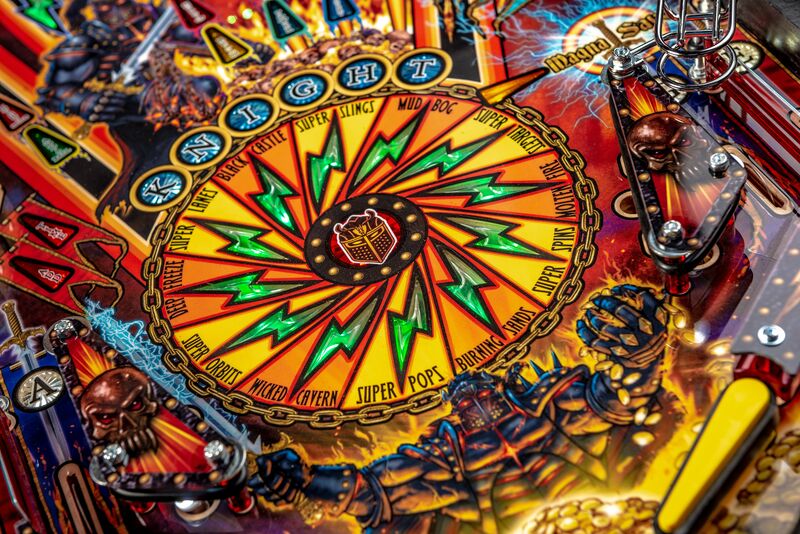 Shoot the Black Knight’s Flail, Shield, and BK Bash Target for big scoring opportunities. 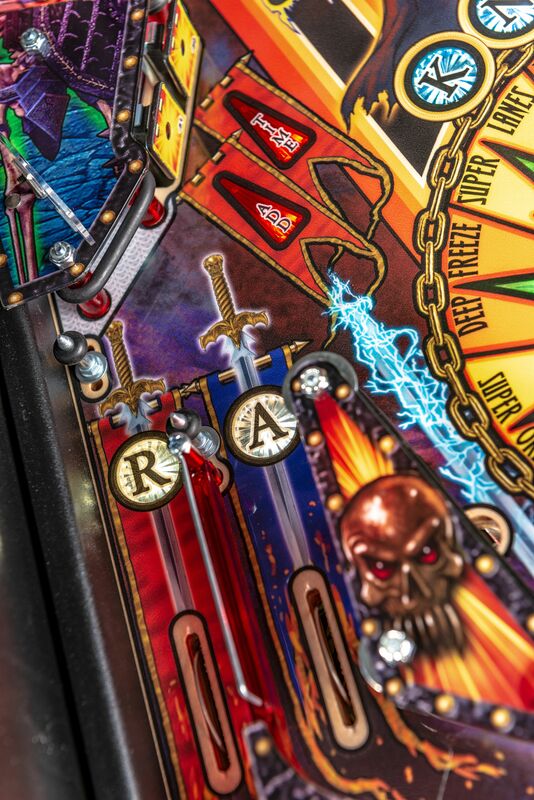 Charge the Sword’s power with the right drop target 3 bank. 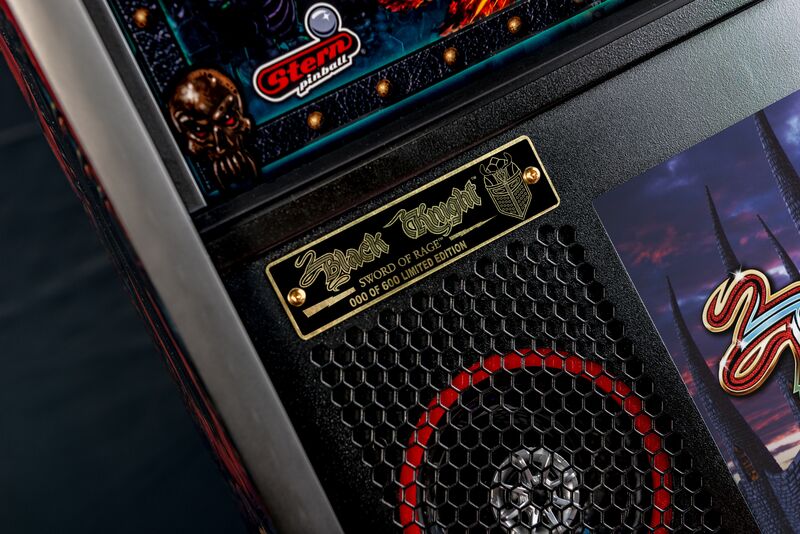 Activate during modes for increased scoring. 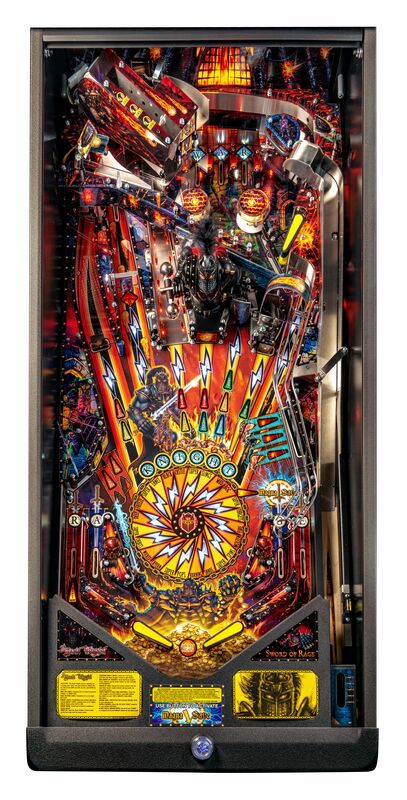 Shoot the Lock target to raise the shield. 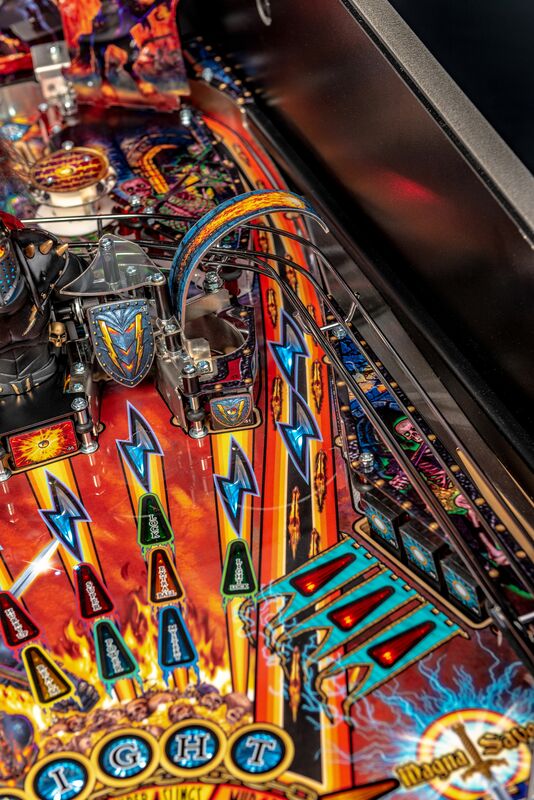 Lock balls behind the shield to start Triple Knights Challenge Multiball. 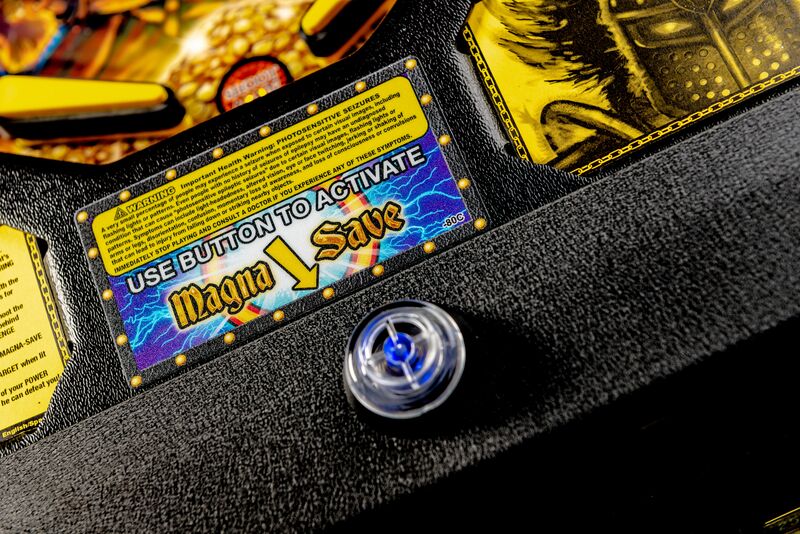 Center button activates Magna-Save to save ball when lit. 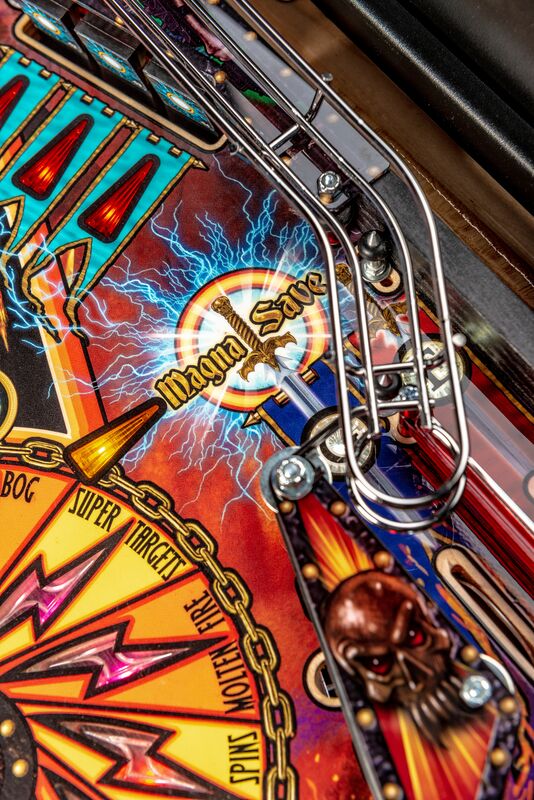 Shoot the BK Bash Target when lit to start Super Features. 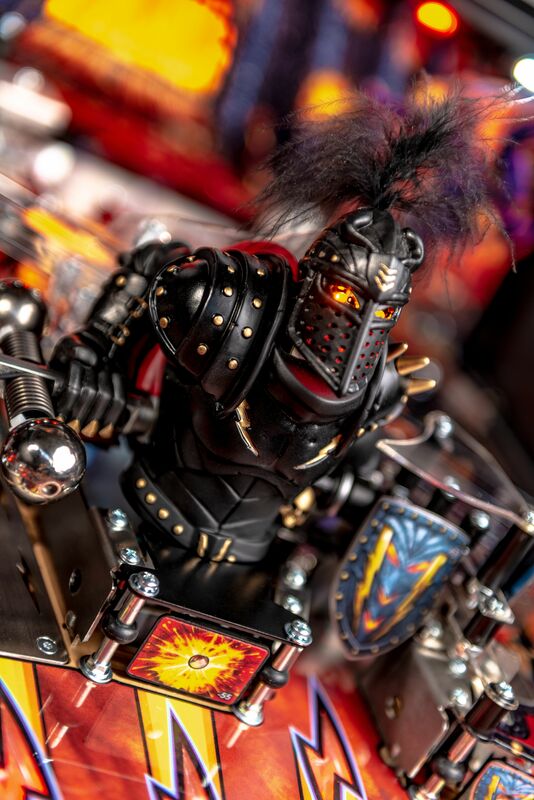 Use all of your power to vanquish the Black Knight before he can defeat you! 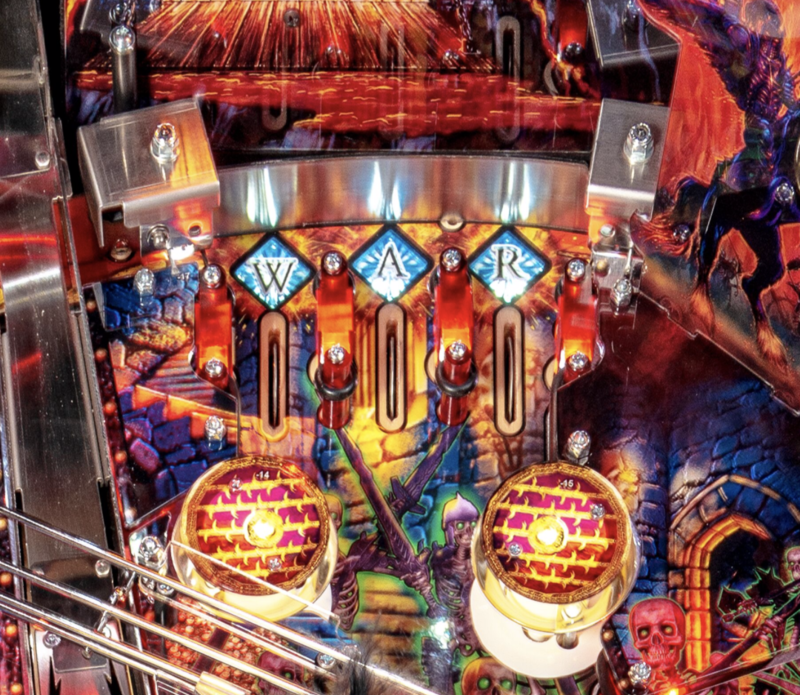 Look for a stream from Dead Flip soon!